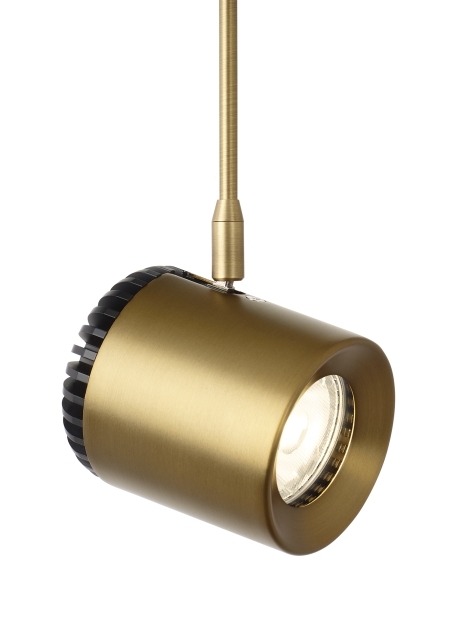 The Burk display head by Tech Lighting combines design simplicity with practical technology. Inspired by telephoto camera lens this simple display head houses a powerful LED source harnessed by field changeable optics for the most precise beam control. The Burk head is highly customizable featuring a plethora of finishes, beam spreads, lamping and stem lengths. Further customize the Burk head by combining it with any complementary Tech Lighting free-jack or rail system. This low-voltage display head is ideal for commercial lighting applications such as retail stores, libraries and galleries. The Burk ships with your choice of 20° or 35° field changeable optics or integrated lens holders (both sold separately). Includes field replaceable 12 watt, 740 delivered lumen, 2700K, 3000K or 3500K field replaceable LED module. Dimmable with low-voltage electronic or magnetic dimmer (based on the transformer). Choice of 20° or 35° field changeable optics. Integrated lens holder accommodates up to two MR16 sized lenses or louvers (sold separately). As a general rule when using the Burk head, we do not recommend using greater than 33% of the maximum wattage specified for the low voltage transformer due to inrush current requirements. For assistance in calculations, please contact Technical Support.